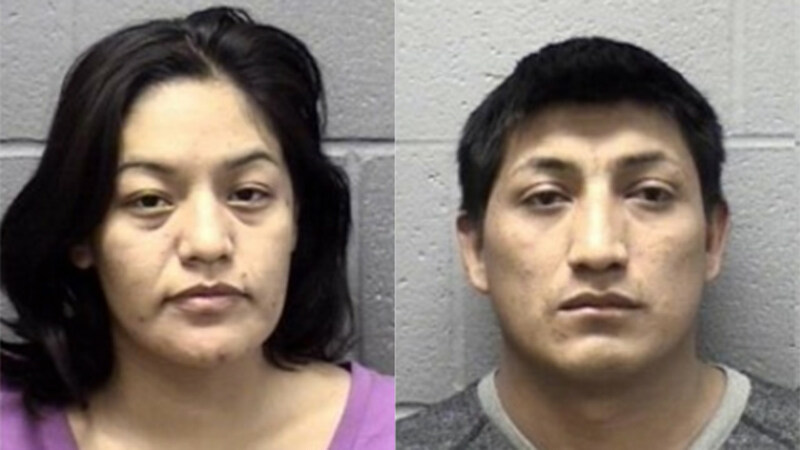 ELGIN, Ill. (WLS) -- A woman faces home invasion and aggravated kidnapping charges after police say she allegedly entered her ex-husband's Elgin home and took their young child. Police said Nallely Hernandez-Dominguez, 29, allegedly entered the home in the 1300-block of Inverness Drive around 3:45 p.m. on Nov. 18 and injured her ex-husband during a dispute about child custody. During the argument, Hernandez-Dominguez's current boyfriend, Marco Morales-Guallpa, allegedly took the child into his vehicle. Police say he and Hernandez-Dominguez then left the scene. Later that night, detectives located the two and returned the child to the father, who has sole custody, police said. After further investigation, Hernandez was charged. Morales-Guallpa was also charged with one count of aggravated kidnapping. Both appeared in Cook County bond court Saturday.